Under the agreement (EVFTA), whose negotiations were officially concluded last December and expected to be ratified by late 2016, Vietnam will allow EU companies to bid for its public contracts with ministries, including for infrastructure such as roads and ports; with Electricity of Vietnam (EVN) and Vietnam Railway Corporation; with 34 public hospitals; and with Hanoi and Ho Chi Minh City. In these two major cities, the value of the procurement for goods and services is estimated to equal or exceed 3 million in special drawing rights (SDR, a weighted average of various convertible currencies defined and maintained by the International Monetary Fund) from the date of entry into force of this agreement to the end of the fifth year after entry into force. Meanwhile, the figure is 40 million in SDR for construction over the same timeframe. Still, procurement with EVN does not cover procurement for transport and distribution of electricity, but is confined to goods and services including consultancy, construction, and installation of project equipment covered by Vietnam’s Law on Public Procurement. Vietnam is considered one of the nations with the highest ratio of public investment out of total investment in the world. Since 1995, this ratio has remained at over 39 per cent annually, a large part of which has been invested in infrastructure projects. This has drawn massive attention from foreign investors who wish to join these projects. Nguyen Thu Trang, director of the WTO Centre under the Vietnam Chamber of Commerce and Industry, said that over recent years, the above-mentioned public contracts had almost never been awarded to foreign investors. Meanwhile, public procurement was quite transparent throughout all the 28 EU member states. For example, if the state wants to purchase medical equipment for public hospitals, it will have to organise public tenders, and EU enterprises will be entitled to join the tenders on an equal basis with local enterprises. 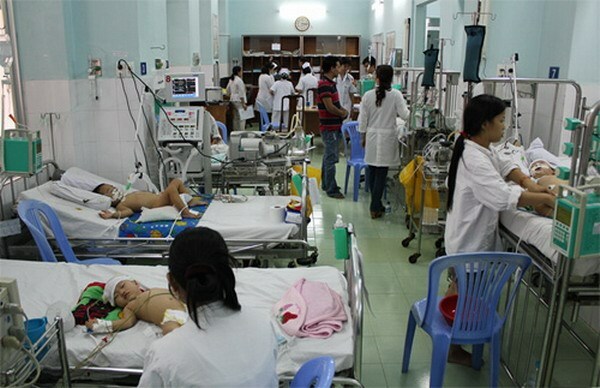 Duong Kim Khanh, general director of a pharmaceutical firm in Ho Chi Minh City, told VIR that many foreign firms, including pharmaceutical firms in Vietnam, wanted to engage in contracts at local hospitals, but failed. “Vietnam’s commitment regarding procurement under the EVFTA sounds good. However, foreign firms are waiting to see how the commitment will be implemented,” Khanh said. Commenting on how this FTA would affect the power sector, Nguyen Thu Hien, head of EVN Hanoi’s Division for Public Procurement Management, told VIR that the power sector would not be affected remarkably by the FTA because the sector did not need as many types of equipment as other sectors such as healthcare or construction. According to the Ministry of Planning and Investment’s Department for Public Procurement Management, Vietnam has taken the initiative in making its international procurement commitments in its Law on Public Procurement, which is considered on a par with international standards. Under this law, all information on projects put out to tender must be publicised. However, despite Vietnam opening public contracts to EU investors, it requires that only goods and services sourced from the 28 EU member states must be accepted in Vietnam.